ONE OWNER!!! Honda CERTIFIED! BACK UP CAMERA, BLUETOOTH, POWER DRIVERS SEAT, 19 WHEELS, AND MORE! Honda Certified Pre-Owned means you not only get the reassurance of a 12mo/12,000 mile comprehensive warranty above and beyond your 36mo/36,000 mile factory warranty, but also up to a 7yr/100k mile powertrain warranty, a 182-point inspection/reconditioning, and a complete CARFAX vehicle history report.Awards: * ALG Residual Value Awards * 2016 KBB.com Brand Image Awards2016 Kelley Blue Book Brand Image Awards are based on the Brand Watch(tm) study from Kelley Blue Book Market Intelligence. Award calculated among non-luxury shoppers. For more information, visit www.kbb.com. Kelley Blue Book is a registered trademark of Kelley Blue Book Co., Inc.
ONE OWNER!!! CLEAN CARFAX HISTORY! CUSTOM 2 TONE HEATED LEATHER SEATS, CLEAR SHIELD, TINTED WINDOWS, SUNROOF, BACK UP CAMERA, BLUETOOTH, REMOTE START, AND MORE! 31/41 City/Highway MPGPriced below KBB Fair Purchase Price!As evidenced by our transparent, no hassle pricing, Kelly Blue Book Instant Cash Offer Trade Process, Garff Care, Ken Garff Honda Downtown puts you first in ALL that we do...All PreOwned Vehicles are: Safety Inspected - 120 Point Professionally Detailed Include a Free Vehicle History Report Ready for Immediate Delivery.Awards: * 2016 IIHS Top Safety Pick+ (When equipped with honda sensing) * NACTOY 2016 North American Car of the Year * 2016 KBB.com Brand Image Awards2016 Kelley Blue Book Brand Image Awards are based on the Brand Watch(tm) study from Kelley Blue Book Market Intelligence. Award calculated among non-luxury shoppers. For more information, visit www.kbb.com. Kelley Blue Book is a registered trademark of Kelley Blue Book Co., Inc.
ONE OWNER!!! Honda CERTIFIED! HEATED LEATHER SEATS, SUNROOF, BACK UP CAMERA, LANE WATCH CAMERA, BLUETOOTH, REMOTE START, PUSH BUTTON START WITH PROXIMITY KEY, AND MORE! 31/42 City/Highway MPGHonda Certified Pre-Owned means you not only get the reassurance of a 12mo/12,000 mile comprehensive warranty above and beyond your 36mo/36,000 mile factory warranty, but also up to a 7yr/100k mile powertrain warranty, a 182-point inspection/reconditioning, and a complete CARFAX vehicle history report.Awards: * NACTOY 2016 North American Car of the Year * 2016 KBB.com Brand Image Awards2016 Kelley Blue Book Brand Image Awards are based on the Brand Watch(tm) study from Kelley Blue Book Market Intelligence. Award calculated among non-luxury shoppers. For more information, visit www.kbb.com. Kelley Blue Book is a registered trademark of Kelley Blue Book Co., Inc.
ONE OWNER!!! Honda CERTIFIED! BACK UP CAMERA, BLUETOOTH, SUNROOF, REMOTE START, AND MORE! CLEAN CARFAX HISTORY! Honda Certified Pre-Owned means you not only get the reassurance of a 12mo/12,000 mile comprehensive warranty above and beyond your 36mo/36,000 mile factory warranty, but also up to a 7yr/100k mile powertrain warranty, a 182-point inspection/reconditioning, and a complete CARFAX vehicle history report.Awards: * 2017 IIHS Top Safety Pick (When equipped with Honda Sensing) * 2017 KBB.com 10 Most Awarded Brands * 2017 KBB.com Brand Image Awards2016 Kelley Blue Book Brand Image Awards are based on the Brand Watch(tm) study from Kelley Blue Book Market Intelligence. Award calculated among non-luxury shoppers. For more information, visit www.kbb.com. Kelley Blue Book is a registered trademark of Kelley Blue Book Co., Inc.
ONE OWNER!!! TONS OF ACCESSORIES INCLUDING 19 SPORT WHEELS, FULL FACTORY BODY KIT, CLEAR SHIELD, TINTED WINDOWS, AND MOON ROOF VISOR! HEATED SEATS, SUNROOF, BACK UP CAMERA, LANE WATCH CAMERA, BLUETOOTH, REMOTE START, AND MORE! 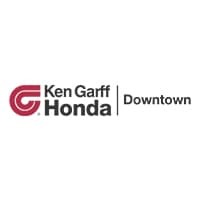 As evidenced by our transparent, no hassle pricing, Kelly Blue Book Instant Cash Offer Trade Process, Garff Care, Ken Garff Honda Downtown puts you first in ALL that we do...All PreOwned Vehicles are: Safety Inspected - 120 Point Professionally Detailed Include a Free Vehicle History Report Ready for Immediate Delivery.Awards: * 2016 IIHS Top Safety Pick+ (When equipped with honda sensing) * NACTOY 2016 North American Car of the Year * 2016 KBB.com Brand Image Awards2016 Kelley Blue Book Brand Image Awards are based on the Brand Watch(tm) study from Kelley Blue Book Market Intelligence. Award calculated among non-luxury shoppers. For more information, visit www.kbb.com. Kelley Blue Book is a registered trademark of Kelley Blue Book Co., Inc.
ONE OWNER!!! CLEAN CARFAX HISTORY! BACK UP CAMERA, BLUETOOTH, SUNROOF, AND MORE! As evidenced by our transparent, no hassle pricing, Kelly Blue Book Instant Cash Offer Trade Process, Garff Care, Ken Garff Honda Downtown puts you first in ALL that we do...All PreOwned Vehicles are: Safety Inspected - 120 Point Professionally Detailed Include a Free Vehicle History Report Ready for Immediate Delivery.Awards: * 2016 IIHS Top Safety Pick+ (When equipped with honda sensing) * NACTOY 2016 North American Car of the Year * 2016 KBB.com Brand Image Awards2016 Kelley Blue Book Brand Image Awards are based on the Brand Watch(tm) study from Kelley Blue Book Market Intelligence. Award calculated among non-luxury shoppers. For more information, visit www.kbb.com. Kelley Blue Book is a registered trademark of Kelley Blue Book Co., Inc.